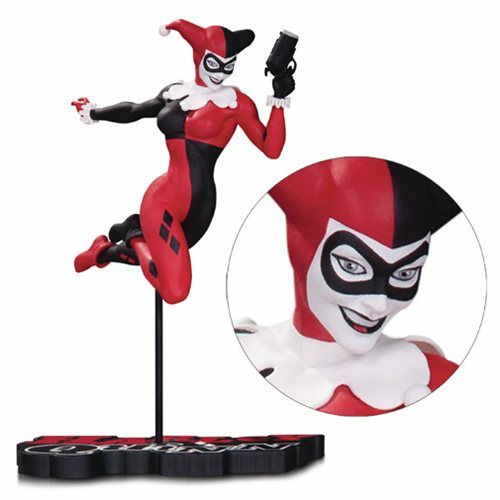 The Clown Princess of Crime takes a flying leap with the DC Comics Harley Quinn by Terry Dodson Red White and Black Statue. 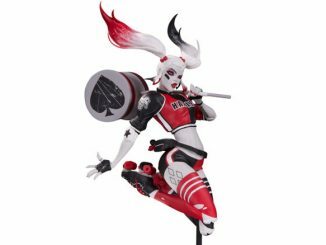 Measuring 7-inches-tall, Harley Quinn, dressed in her classic harlequin outfit, leaps through the air, ready to ruin someone’s day with her overly large pistol. 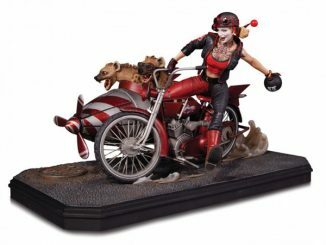 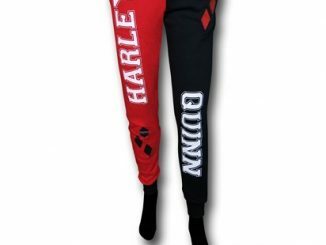 The themed base feature’s Harley’s name in red, white, and black to match her outfit. 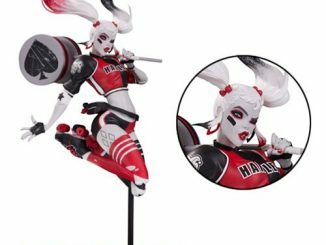 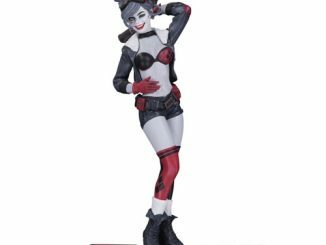 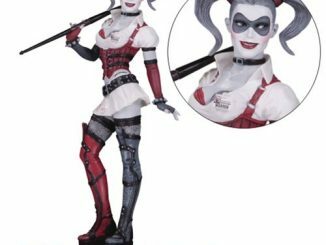 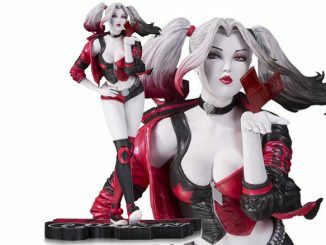 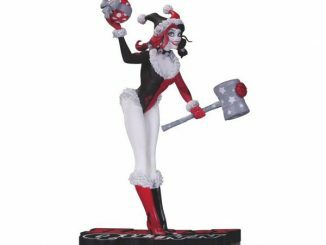 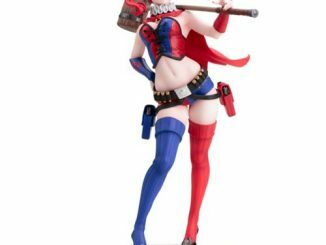 The DC Comics Harley Quinn by Terry Dodson Red White and Black Statue will be available August 2017 but it can be pre-ordered now for $69.99 at Entertainment Earth.